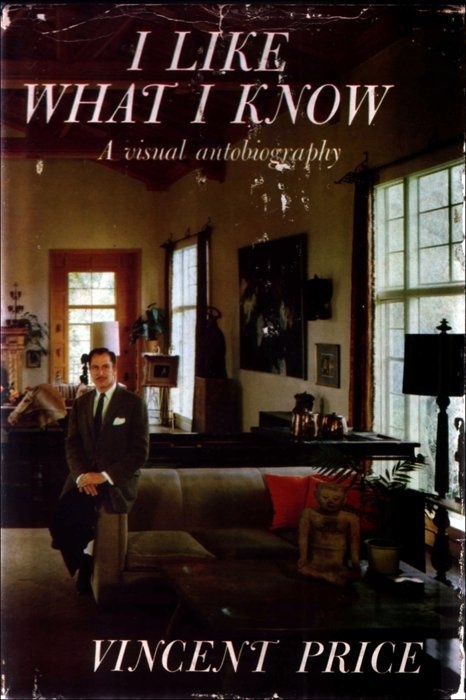 In 1959, Vincent Price recounted the delightful story of his life-long love affair with the art world in his visual autobiography, I Like What I Know. In his intimate memoir, Price wrote of his early consciousness of the art around him, and of his first art acquisition – which he paid for with money earned at odd jobs. He also recalled his trip to Europe at the age of seventeen (although he writes sixteen in the book) that opened up whole new vistas to his deepening curiosity, and these memories were drawn from the notes that he made in his little blue 1928 travel diary, which I have recreated as the real-time travel blog that you are now visiting. Here now are some extracts from I Like What I Know, in which a 48-year-old Price reflected back on his first trip abroad to recall how that two-month tour of Europe back in 1928 was key in developing his love and appreciation of art and of the world around him. I read this book 55 years ago from the Plumas County, CA public library. It still resonates on many levels!